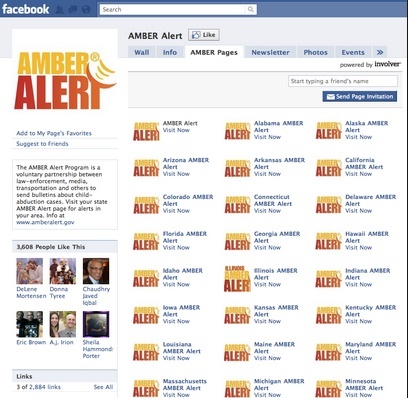 After Google and Bing, Facebook has launched the Amber alerts to help find missing children. The contribution of social networking sites is impeccable in connecting people especially in emergency. We have seen so many times missing child finally rescued and handed over to their parents and the entire networking was done through Facebook. So this time Facebook has taken that role with dedication and introduced the Amber Alerts in partnership with National Center for Missing and Exploited Children. The Amber alerts will appear in your News Feed. The users who will receive the alert will be selected on basis of search area. This means the users who are in the same location or nearvy from where the child went missing will be receiving the alerts. The frequency of alerts might vart from time to time. Some users may receive just a handfuk of alerts in a year while others will receive none at all. The information which will be provided within the alerts include photographs, name, background and other identifiable information. The alerts will apear in the users news feed but not as notifications in the notification area. Law enforcement determines the range of the target area for each alert. The number of alerts people will see depends on how many alerts are issued in their area — some people may see a few each year and many people will likely get no alerts at all. The alerts will appear in News Feed, but will not trigger any notifications to a person’s phone. This is an extremely benevolent initiative being taken up by the social networking sites. World Goes Smaller With A Better Language Translation Technology!